Honeybees make decisions collectively - and democratically. In fact, as world-renowned animal behaviorist Thomas Seeley reveals, these incredible insects have much to teach us when it comes to collective wisdom and effective decision making. 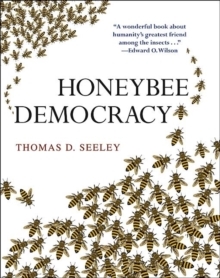 A remarkable and richly illustrated account of scientific discovery, "Honeybee Democracy" brings together, for the first time, decades of Seeley's pioneering research to tell the amazing story of house hunting and democratic debate among the honeybees. In the late spring and early summer, as a bee colony becomes overcrowded, a third of the hive stays behind and rears a new queen, while a swarm of thousands departs with the old queen to produce a daughter colony. 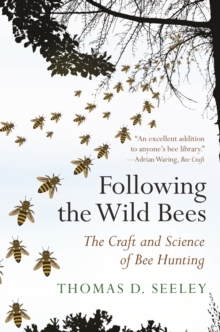 Seeley describes how these bees evaluate potential nest sites, advertise their discoveries to one another, engage in open deliberation, choose a final site, and navigate together - as a swirling cloud of bees - to their new home. Seeley investigates how evolution has honed the decision-making methods of honeybees over millions of years, and he considers similarities between the ways that bee swarms and primate brains process information. 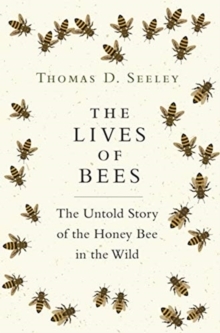 He concludes that what works well for bees can also work well for people: any decision-making group should consist of individuals with shared interests and mutual respect, a leader's influence should be minimized, debate should be relied upon, diverse solutions should be sought, and the majority should be counted on for a dependable resolution. Pages: 280 pages, 30 color illus. 30 halftones. 26 line illus. 1 table.